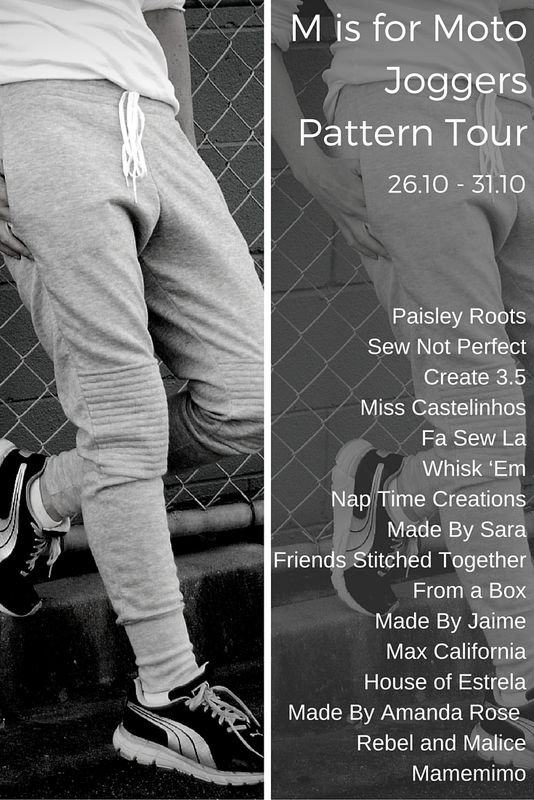 It is almost time for the M is for Moto Joggers Pattern Tour! We have a lovely wide range of bloggers taking part, and I am really excited to see all the different versions that they have come up with. The tour will run from 26th of October to the 31st of October with 2 or 3 versions being shared each day. The M is for Moto Joggers pattern will remain on sale in my shop until the end of the tour. Lastly, to whet your appetites, Here is another of the versions I made up in the pattern development stages. 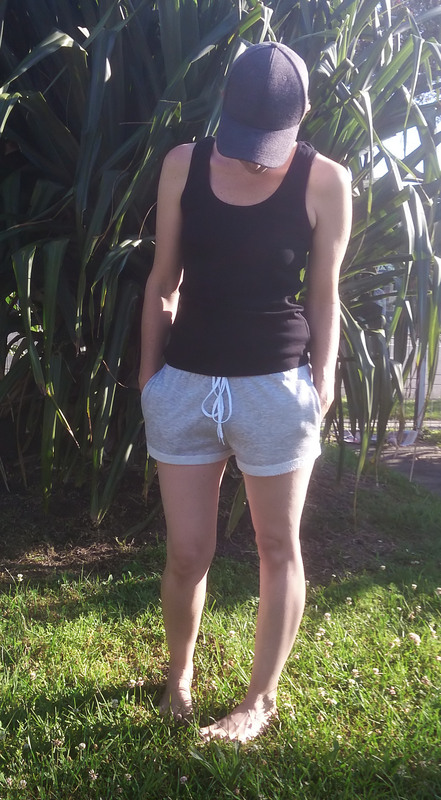 This is the shortest length, made from sweatsuit fleece with side seam pockets and a tie at the front. I love the shorts version and cant wait to make my own. Love my ankle version!